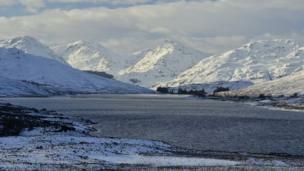 A selection of your pictures of Scotland sent in between 16 and 23 January. 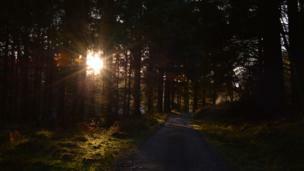 Afternoon sun over Queen Elizabeth Forest Park. Ian Lockhart, who now lives in Beijing, was on a visit home to Scotland. Life imitated art or was it the other way round? 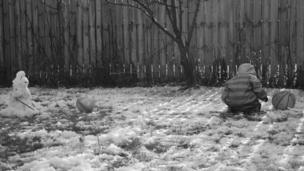 Harris built his first snowman of the year with dad David Gunn from Glasgow. Tree guards caught the setting sun. 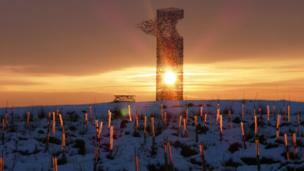 Brian Cairns spotted them by the Skytower sculpture in Rawyards woodland park, Airdrie. 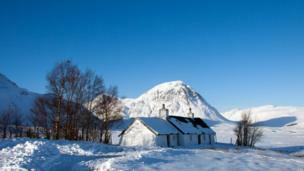 Duncan Willmore and his wife travelled to the Three Sisters in Glen Coe, from Devon, to see "proper snow". 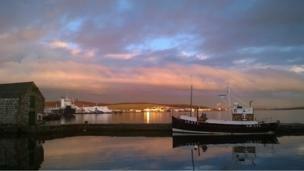 Clive Coffey, from Katesbridge in Northern Ireland, was visiting family in Lerwick at the weekend. A secluded beach on the Isle of Mull. 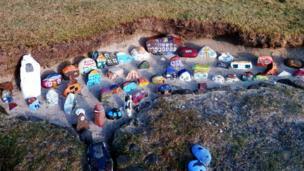 Peter McPhail, from Edinburgh, was amazed at the detail in this miniature Tobermory. 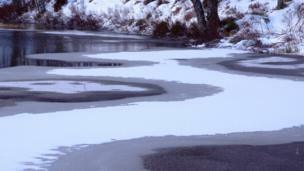 Hazeelin Hassan, from Surrey, came across this frozen loch in Craigellachie Nature Reserve, Aviemore. 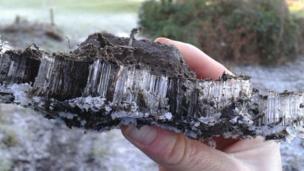 Megan Mackie, from Forgandenny, found this wedge of frozen mud near Strathallen school. 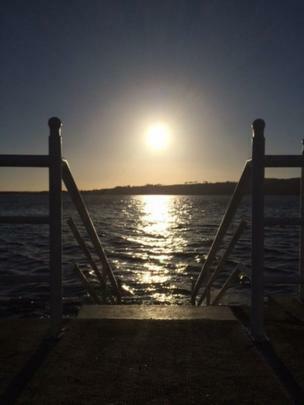 A walk along the shore in Broughty Ferry rewarded Morag Hambleton with this view. 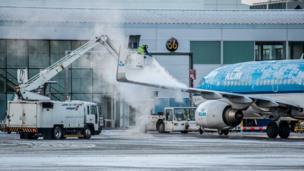 An aircraft is defrosted at Glasgow airport on Saturday. Photo by Thomas Donachie from Renfrew. A tree near Linlithgow. 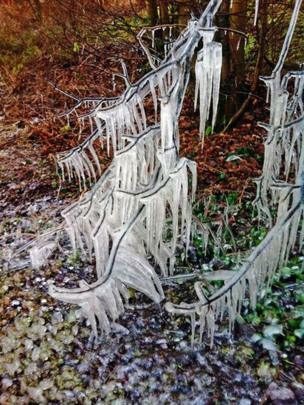 Roy Whittaker, from Larbert, said it was the only one with icicles. 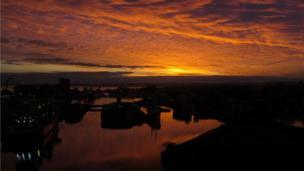 Sunrise over Leith on Tuesday morning. Photo by Graeme Stirling. 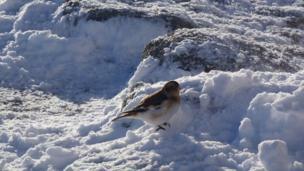 A snow bunting joined Karen Howat, from Dundee, as she stopped for lunch on her way to the summit of Cairngorm on Saturday. 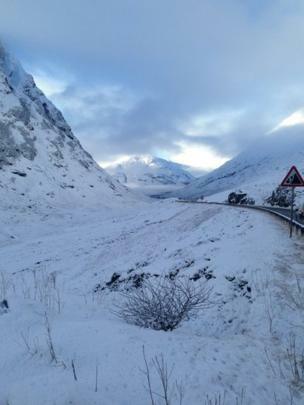 Glencoe was a chilly -9C on Monday according to Graham Gibson from Ayrshire.